I support and signed the petition to Ban On Animal Testing in Cosmetics Products and Ingredients. 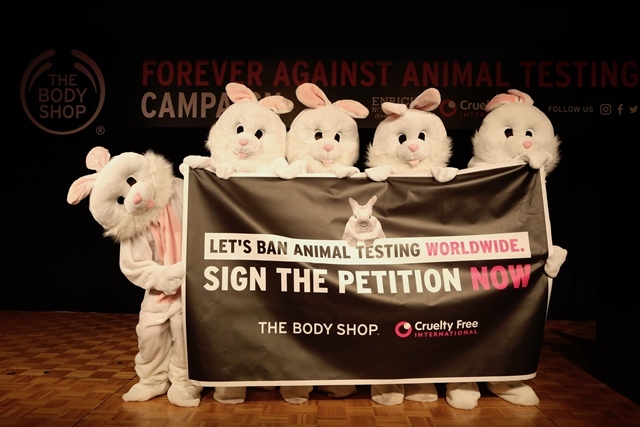 The Body Shop new campaign calls for a global ban on cosmetics animal testing on products and ingredients by 2020, revolutionizing the beauty industry and protecting millions of animals around the world. The potential for animal testing is still a huge risk around the world, with over 80% of countries still having no laws against testing in cosmetics. This is despite the fact that most countries do not require safety data based on animal tests and reliable alternatives are available, and that beauty companies like The Body Shop use innovative and effective cruelty-free ingredients in their products. Cruelty Free International estimates that approximately 500,000 animals are still used in cosmetics testing every year. The Body Shop and Cruelty Free International’s new campaign is calling for an international ban on animal testing in cosmetics, on both products and ingredients, everywhere and forever. It is the most ambitious campaign ever against animal testing, and aims to engage eight million people to sign the petition calling on the United Nations to introduce an international convention to end the practice once and for all. 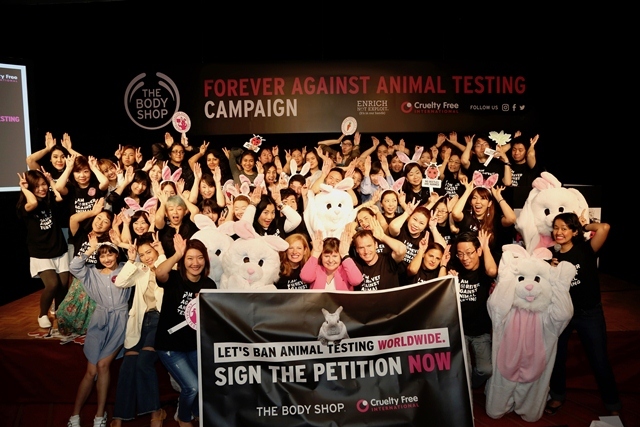 The petition can be signed online or at any of The Body Shop’s 3,000 stores across the world. You can also use the hastag #ForeverAgainstAnimalTesting on social media to raise awareness of the issue. This is a really good campaign and everyone should join it. Congrats Kelly. Am gonna sign too. Thanks for letting me know about this campaign. Why Water is Important to Our Health?